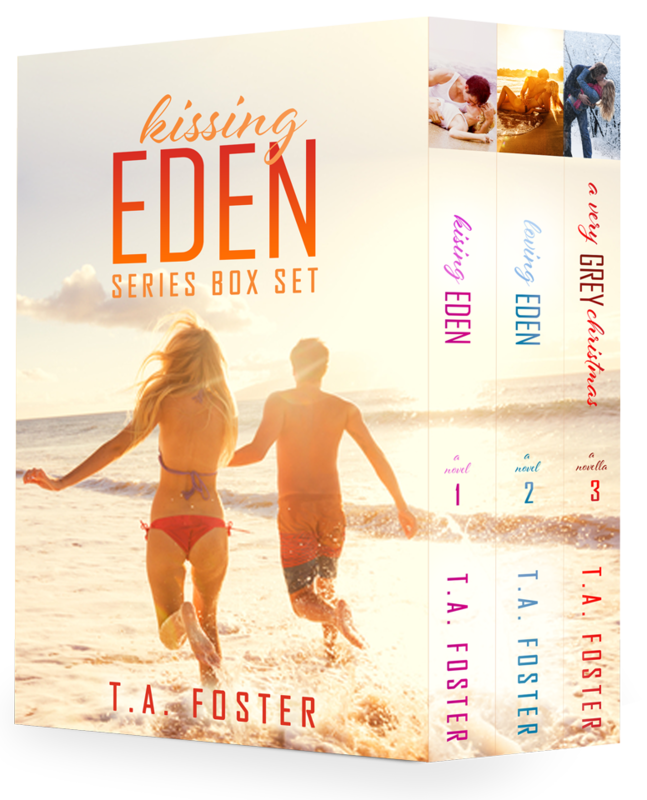 Today is the cover reveal for the KISSING EDEN Box Set by T.A. Foster! This set contains the two full-length novels KISSING EDEN and LOVING EDEN, and the novella A VERY GREY CHRISTMAS. This set will be released on Thursday, March 26th.